The room loomed in it’s vast darkness as I bumbled through the night. The world is stiffening and foreign. My movements are slow and huge menacing shadows surround me. Thankfully, I am not alone. My teddy bear holds my hand as I make my journey through this adventure. I am two years old, and I am looking for my mother. No, this is not a weird nightmare. 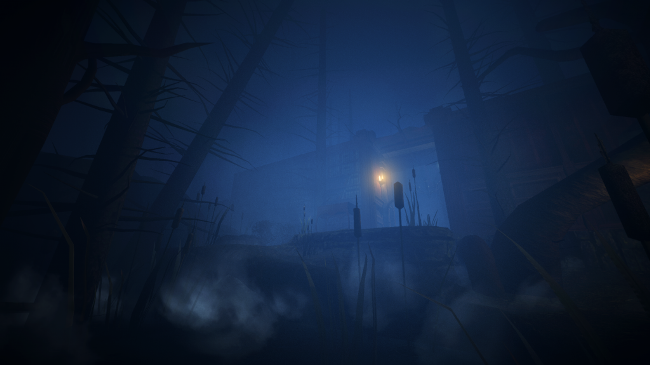 This is a first person horror adventure game launched in May 2014. 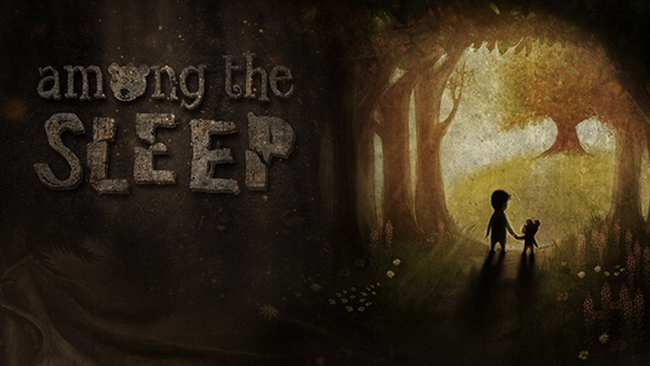 Among the Sleep is an indie game made by Krillbite Studio after being successfully funded through Kickstarter early 2013, garnering an impressive $248,358 out of their $200,000 target. Krillbite Studio is a small team of undergraduates that banded together in their love of gaming. They started working on the game while they were still in University (finding time in between classes) and continued on after they graduated (finding time in between part time jobs). They steered from the trailed and tested conventions of gaming and developed a game that nobody knew they wanted. The game’s unique gameplay casts the player as a 2-year-old child instead of the usual courageous-sword-welding-warrior. Imagine playing a toddler too slow to run away and too weak to fight back. Now add the imagination of the scared toddler, where nightmares and reality merge and monstrous creatures are all too real. This is the stuff nightmares are made of. Thank god for the talking teddy bear. What? The idea of a talking teddy bear doesn’t soothe you? It’s on your side, I promise. The idea of using a child came to Lead Designer, Anders Ugland, in a dream where he was a small child hiding from a monster. The world seen through the eyes of a child is huge and often times horrifying. 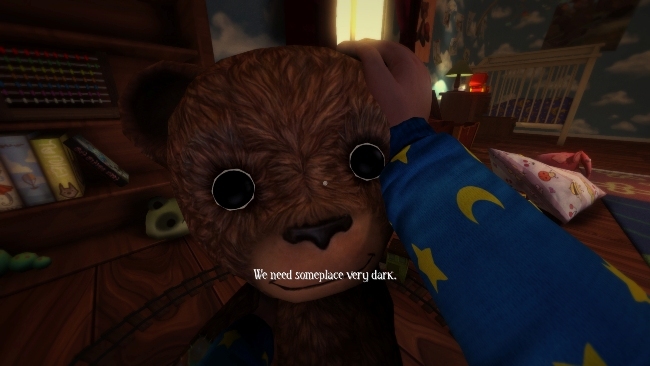 When asked about the struggles developing the story with a child protagonist, Svein-Gisle (Community manager and 3D artist on Among the Sleep) said that they had to remove some parts that are obviously beyond the capabilities of a child. In one example, they decided not to include a puzzle with required the use of a knife. They developers wants the players (you) to be fully immersed in the character. When you’re playing a two-year-old toddler, you are almost immediately emotionally invested in the game. After all, you wouldn’t want to get a two-year-old injured, would you? 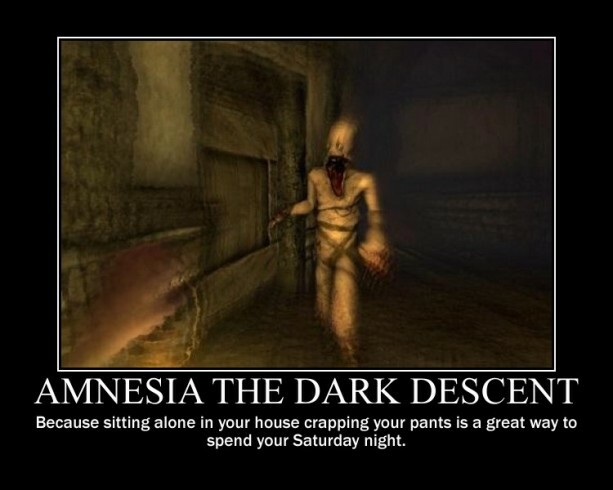 Similarities to Amnesia: The Dark Descent? This general theme of helplessness has been done before in Amnesia: The Dark Descent. Amnesia is a survival horror game featuring a protagonist solving various puzzles in a dark castle, all the while being hunted by horrifying monsters that he is helpless to defend against. In addition to this, the protagonist has a health indicator to manage. Being in the darkness and staring at monsters will reduce his sanity but standing in the light will increase his visibility to monsters, which will then proceed to chase after the protagonist ruthlessly. It’s like the developers want him to go insane. 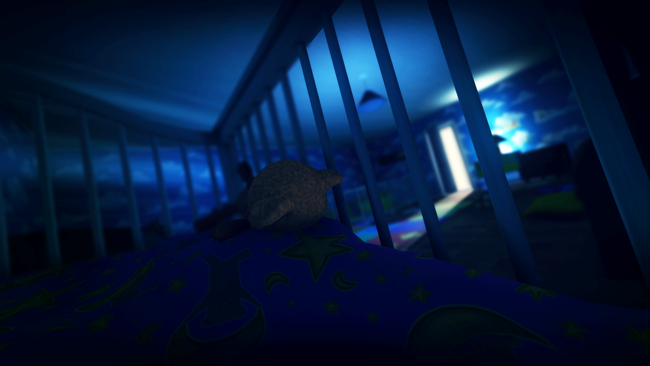 Meanwhile in Among the Sleep, the toddler solves various puzzles to unlock memories of his mother while being chased by horrifying shadow monsters that he is helpless to defend against. The truth behind the toddler’s fear cuts much deeper than just a toddler’s imagination running wild. The story begins with the toddler’s two-year-old birthday celebration, where it is hinted that the parents are separated. The parent’s ensuing argument scares the toddler, causing your vision of the screen to blur. The mother presents a gift to the toddler (presumably from the father) and leaves the toddler in his room. The gift teddy bear comes to life shortly after and the adventure begins. The two-year-old’s mother goes missing and the child and teddy wanders around eerie landscapes in search of her, solving puzzles along the way. 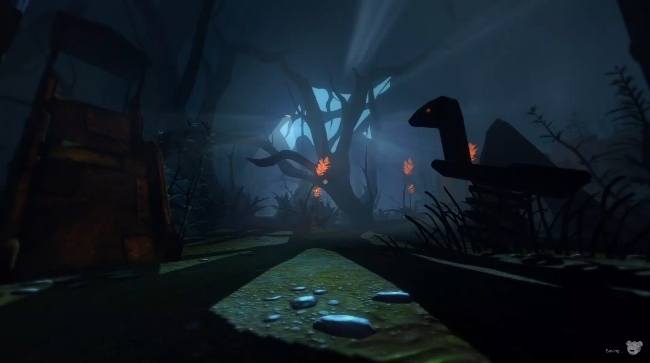 Hints of the child’s backstory were strewn throughout the gameplay, beginning simply with the toddler’s dark and monstrous view of the environment. The world does not seem to be a happy place for this young child. Further into the game, the player is able to see bottles of alcohol, drawings of the parents fighting over the child and a shadow-like monster tormenting the toddler. In the last memory, the Teddy lost an arm to their battle against a coated monster. With this last memory unlocked, the child exits the closet and heads downstairs in search of his mother. He finds her crying in the kitchen with the damaged toy in one hand and a wine bottle in the other. The monster that has been tormenting the toddler throughout the game is revealed to be the mother during her drunken rages all along. When the toddler attempts to retrieve the bear, he is knocked over and scolded. She immediately apologizes. The game ends with the father at the door, talking to the toddler about fixing the toy’s broken arm in a voice that is remarkably similar to that of the bear’s. 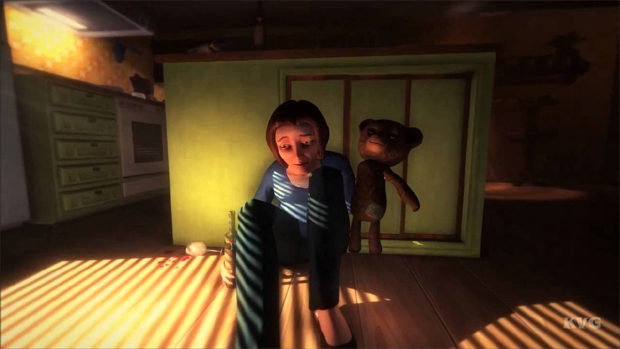 Among the Sleep unexpectedly covers the theme of a child growing up in an abusive home, where the mother goes into drunken rages and takes out her anger on her child. This is a controversial subject to tackle and Krillbite studio took a subtle and unexpected way of going about it. The fears presented throughout the game are not ‘jump scare’s but rather fear of the psychological type. However, players are left with the comforting idea that the father is there to take the toddler away from the abusive mother and all is well with the world. Hurray! The game is available for $19.99 at Steam, GOG and the Humble Store. However, Krillbite studio has also released a self discovery game The Plan, for free on their site, so check that out too. I would suggest leaving lots of lights on while you do that though.